Dealer Disclosure: All vehicles subject to prior sale. We are a volume dealer therefore please call prior to coming to our facility to verify if vehicle is still in stock please print ad for internet pricing. 1-888-523-3469 call today and ask for Gene Valencia. Mileage may vary slightly due to test drives. Thanks for looking ! 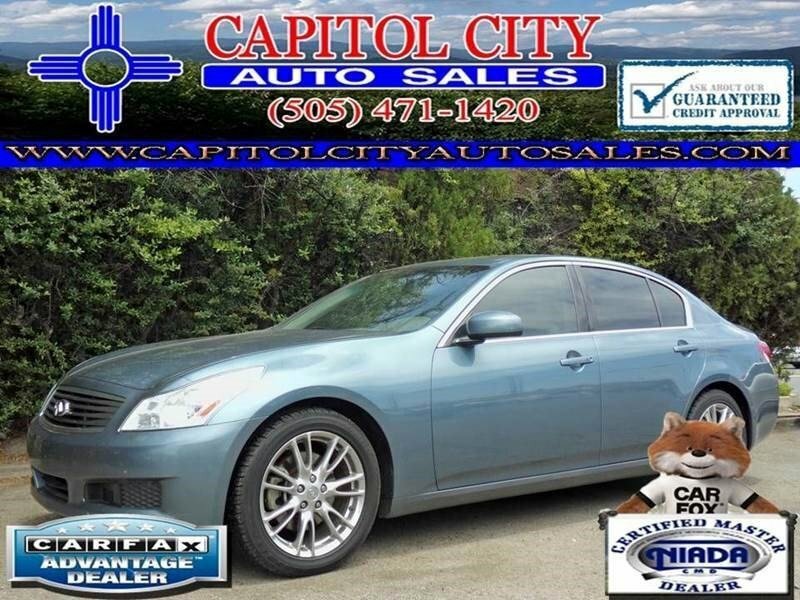 Hi, I'm interested in your Used 2007 INFINITI G35 Sedan listed on Autotrader for $12,998. I'd like to get more information about this vehicle and confirm its availability.